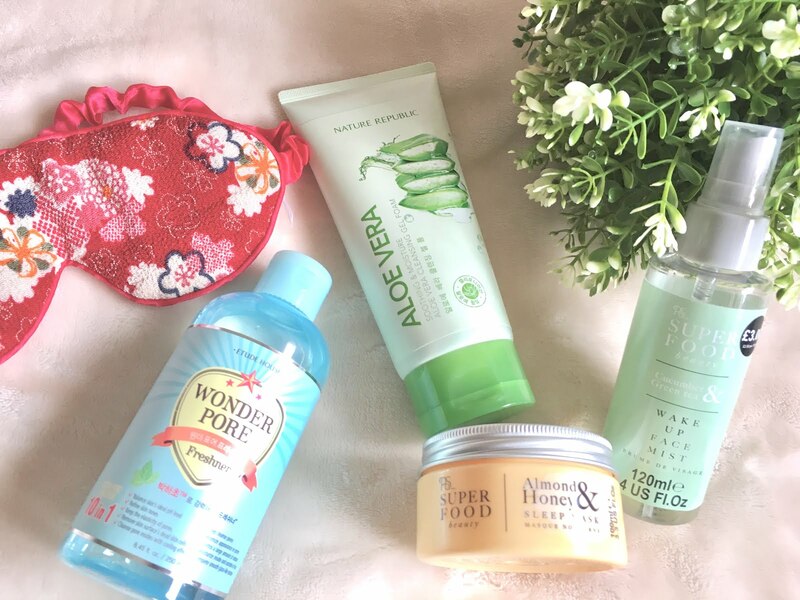 First thing’s first, I go through my skincare routine. Which is usually pretty simple in the evening, I’ll be posting an updated skincare routine next week though! I usually just take my makeup off, use my toner and then pop on my sleeping mask. I’m not sure how much difference the mask actually makes, but it smells so good that I’m going to keep using it anyway! I then try to remember to moisturise! I’ve got my hand creams and things next to my bed at the moment so I can remember to use it before bed. I might do a separate post if anyone is interested, but aware that my blog doesn’t focus on religious things! I usually sit down and work on the verse of the day and my reading plans for the day. I use a combination of apps and notebooks for this and just try and work through different themes at a time. But I can do separate posts if you guys are interested! Once everything is sorted, I like to catch up on my YouTube subscriptions. I’ve been decluttering my subscriptions list so I’m not overwhelmed with content, so I usually only have a few videos to watch each day. So it’s a manageable list! Sometimes there’s nothing new, and sometimes I leave it all completely and just have an evening off my phone! At this point, I’m getting tired…. and it’s time to get off the phone, so I grab my notebook and planner and sit down and work through my plans for the next day. I fill in bits that I had completed that day, I work on my goals and things. I’m also tracking my food at the moment, so I write all of my meals down and things. And just dump everything out of my brain! 5. 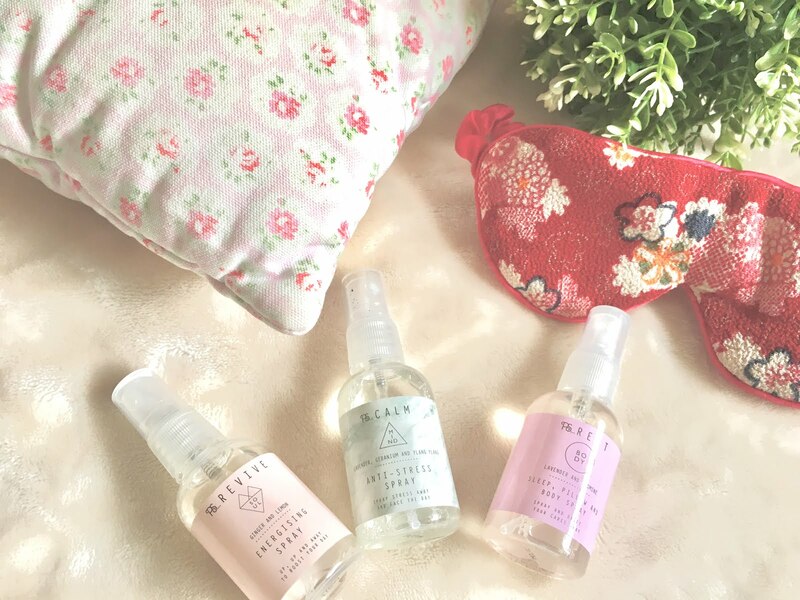 Sleep Spray, Sleep Mask, Sleep! Now I’m finally ready to sleep! I get my sleep spray and my sleeping mask and turn off the lights and hop into bed! What do you do to get ready to sleep each night? Do you have a night routine or just collapse in a heap at the end of the day? I’ve been reflecting a lot recently. After finishing university I needed some time to recover, I’d had years and years of exams – 9 years of constant exams and coursework from GCSE to masters to be precise! And I just needed a break, I was having some health problems that had cropped up and just needed some thinking time. Time to actually make peace with me, and listen to the voice in my own head. I knew where I was going in the long-term. I knew where I wanted to be in 10-15 years, I knew what my ultimate goals were. But I didn’t have a plan for how to get there. So many people make 5-year-plans, I skipped that one and jumped straight to the long-term goals. Which in some ways was great, it gave me something to work for and a goal whilst I was at university. I woke up every day with a purpose. And I do believe we all need that. But it wasn’t useful for day to day life. It’s important to have a reason to wake up in the morning, a reason to keep going and to push through whenever you’re struggling. But these don’t need to be huge goals. You don’t need to sit down and write that you’re working towards being president, that you’re going to invent something life-changing. It’s a case of knowing your own beliefs and values and sticking to them. I sat down and connected back with myself. As cliche as it sounds. I looked at my own actions and my beliefs and re-evaluated everything. Tried to justify all my beliefs to myself. For example, I’ve been vegetarian my whole life. I never made the decision to become vegetarian, so I needed to sit down and re-evaluate. Make sure I had a reason for believing that and knew what decision I was making. I was holding myself accountable for my own decisions. You can also apply this to religious beliefs, beliefs about how to live – do you want to buy or rent, how do you want to work? Not going to get into my own personal views because this blog isn’t focused on a debate of my own beliefs, I just want to help you all to be able to make these decisions and act as a prompt so you can also have thinking time! I’ve been reassessing everything. I’ve taken the words from Marie Kondo’s Lifechanging Magic of Tidying Up and applied it to everything, not just material possessions. We can declutter everything… commitments, relationships, all of the non-physical things in our lives. I’m now in a position where I’m happy with the things in my life. I want everything I have. I love everything I have. I love all the people in it. And I now know I can give everyone and everything my full time and commitment… and that it’s valued. I really encourage you all to look at your lives, look at your average day. How much of that do you need to do? How much of it do you enjoy doing? How much of it is necessary? Then look at relationships, do all of your friends help you grow and thrive? Is your relationship with your partner – if you have one – healthy? Try not to drive yourself insane, you’ll know straight away. Just ask yourself whether it makes you happy. And cut out things that don’t make you happy. I’ve really been learning what it means to be me, learning to be comfortable with my own skin. 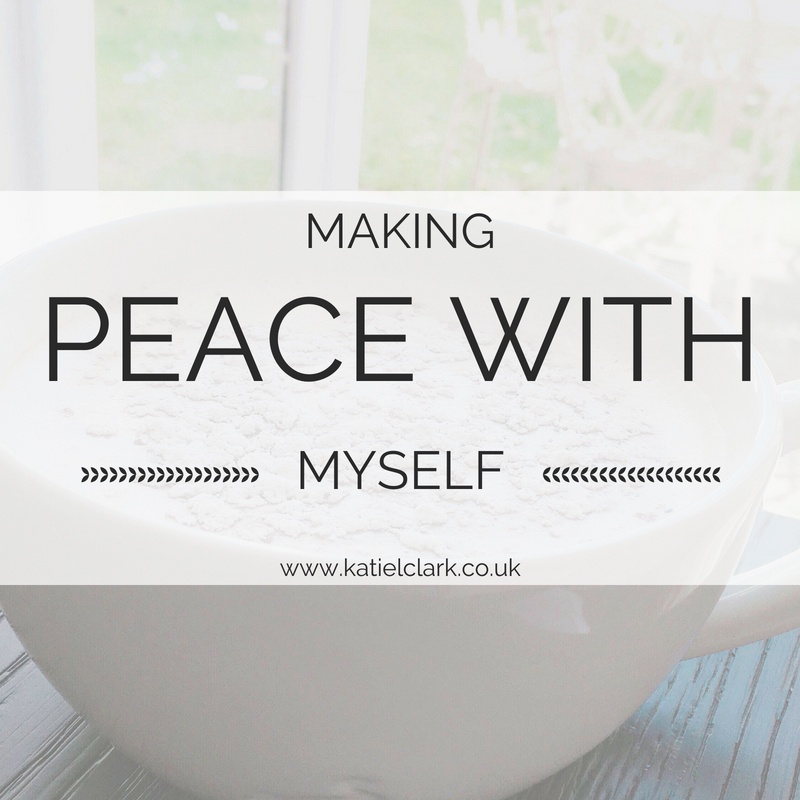 Making peace with myself. It was just a case of really looking into myself and realigning everything. It’s been a long process, I don’t think I’ll ever be finished because we always need to have an update as we grow and change! But this is my life now. Hopefully, this one wasn’t too heavy for you, are you facing clutter in your life? If you’re finding it hard to balance everything, then maybe it’s time to take a look and try and make your life a little simpler! Have a lovely bank holiday weekend, and stay happy! 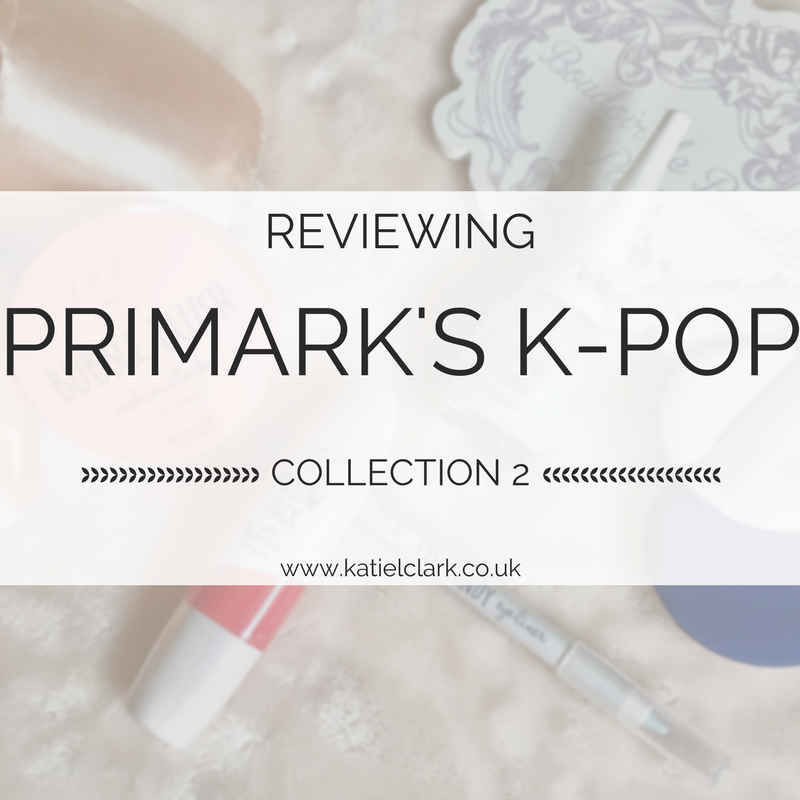 I managed to get my hands on the rest of the K-pop Collection from Primark! If you haven’t checked out the first half of the collection you can find my review of those products here. I didn’t end up getting the whole collection because were some items that didn’t suit me when I swatched them or I didn’t think I’d use them! And so my inner minimalist exercised some self-control and I just picked up a few items that I thought would be awesome for the summer. I wanted to use all these products before reviewing them as well, so I could give a better idea of how they last and the consistency! It’s sometimes hard to tell how good a product is going to be just from a swatch alone. So I’m reviewing these after a few days of using them. First up is the product I was most looking forward to! Primark did their research with this product, and jumped on the cushion product trend. 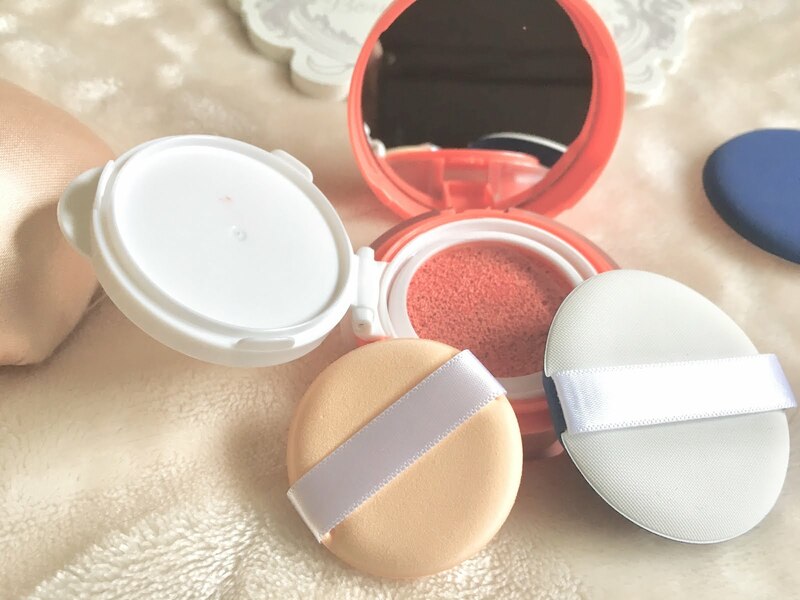 the consistency of this blush is great and the staying power is awesome. 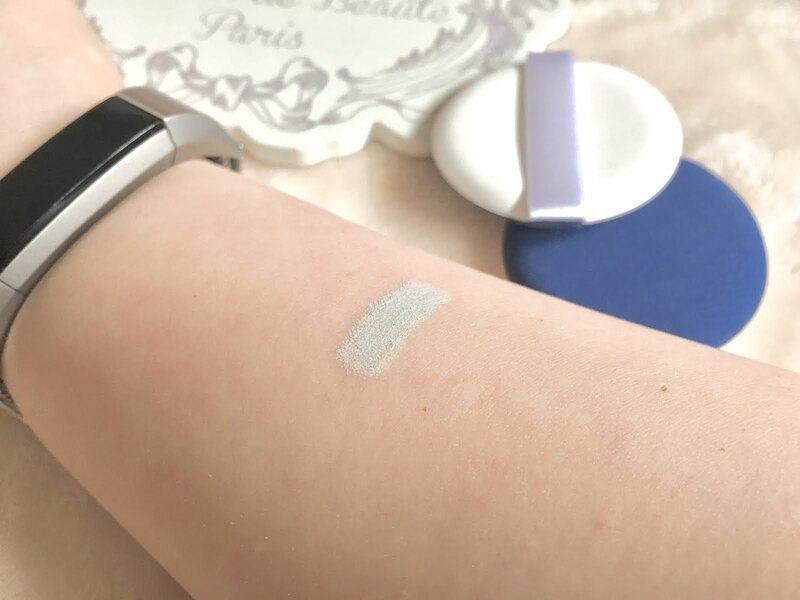 I swatched this on my arm, tried to wash it off with water… got in the shower, walked around all day… and it didn’t come off until I actually used makeup remover on it. So whilst it’s not advertised as being waterproof, this will be great if you’re having a pool or beach day! 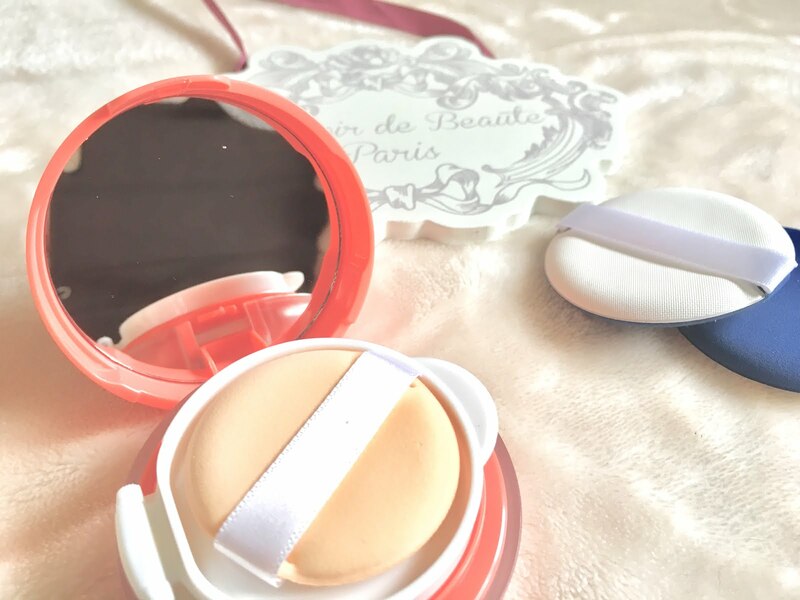 The mirror is a decent size as it covers the size of the whole lid, the product itself fits into the palm of my hand, it is a little bulky… but I personally love a blush, so I’m happy to let this product take up space in my makeup bag! 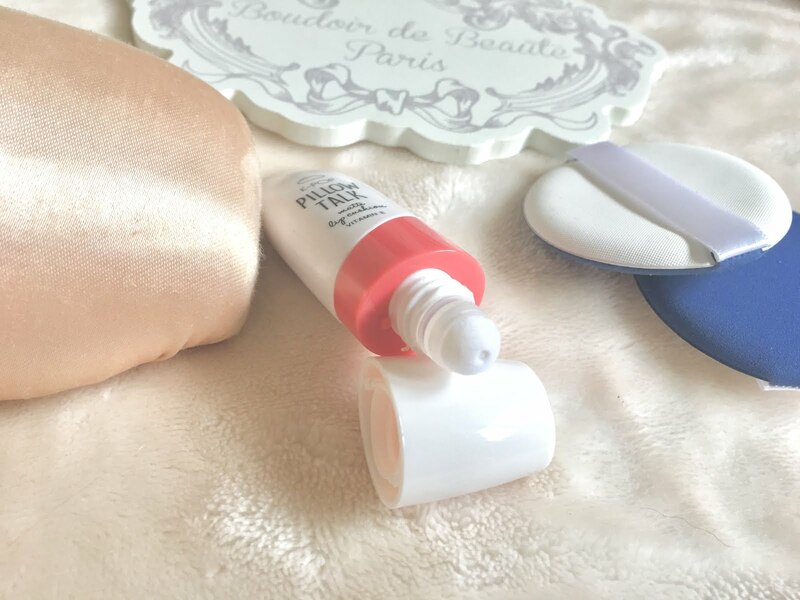 The applicator is so cute but it is quite small, so it depends on the size of your fingers really! I can fit two fingers in and that seems to be a comfortable way to apply the blush. It does take a little getting used to, and a little goes a long way. But it looks so natural and pretty after you blend it, and you don’t need to worry about it looking patchy because it won’t bunch up like powders do. 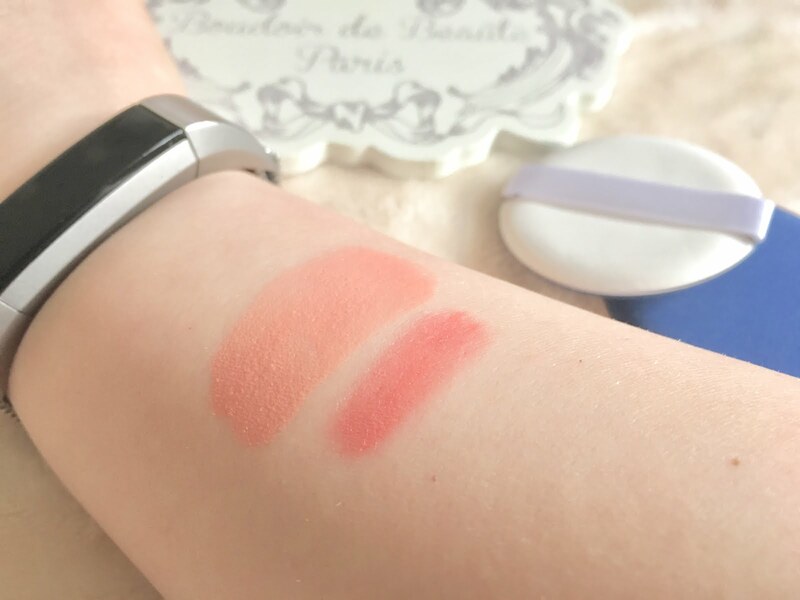 There is a second colour, but that was a little bright for me and I didn’t think I’d wear it, so I just purchased Coral Dreams which was £4. More expensive than the other items in the range, but the packaging is really sturdy and the colour is so pretty, so I was happy to get it. It’s still cheaper than brands you’d find in Boots or Superdrug after all. This is another product I was really looking forward to, I managed to restrain myself enough to just buy one shade because realistically I don’t need 100 different lipstick shades! This shade matched the blush nicely so I thought this would be the best shade for me. It’s called Jelly Bean, which is a little confusing because Jelly Bean is also the purple highlighter shade from the last review! It has the same sweet scent as the highlighter palette and I think I prefer my lip products being scented far more than the highlighter/powder products. The applicator is reasonably easy to use and you end up with a pretty natural gradient using the sponge. The product does come out of the applicator slowly, but it’s a thicker consistency and so I think that’s why. But because it’s thicker, when it sets it really stays in place. Of course, you’d need to reapply after eating, but I don’t have many products that have such awesome staying power that you don’t need to reapply after eating! Then finally, I found another eyeliner colour! This one was a mint green and my favourite one so far! There was also a yellow tone, but I left that one behind because I didn’t think I’d wear it. This eyeliner was £1, the same as the pink and purple ones last time. Overall, I loved the second half of the collection as much as the first half! There were some items I left behind – I didn’t grab the accessories (they had tweezers, a beauty blender with a holder and those types of things) because I’m really trying not to hoard beauty tools (how many tweezers does one person need after all!). I left the liquid blushes because I preferred the consistency of the cushion one, I’m sure you could make it work but the colours seemed a little bold for me! Haven’t come across the pastel eyeshadow palette yet, so I’ll probably grab that when I find it! Hope you enjoyed this second half, what’s your favourite part in the collection? And if you’ve done a review of any of these items or any other parts of the collection, feel free to leave you links down below so we can all check them out! Somewhere along the way blogging became boring. I had enough, it became a chore. Sharing content wasn’t as exciting as when I started. I’ve been blogging properly now for 6 years – excluding my LiveJournal days… but we’ll pretend that never happened. But my first beauty blog (the one before this) is now over 6 years old. I never thought I’d leave blogging. But over the past year, I found it hard to post. I had plenty of ideas. I had plenty of drafts saved to my account. I’ve written plenty of posts. I had a blog post written on the current state of the K-pop industry… spent days researching things, hours writing it… but I was never satisfied. New information kept coming out, there was always more. I wanted it to be perfect. But it never was. I was constantly worried about the quality of my posts. It’s like I wanted each post to read like an academic essay. Grammatically perfect, structured well… but realistically, blogging isn’t about that. You’re not interested in grammar and structure… of course, it needs to read well and make sense, but I realized I didn’t need to be a perfectionist. 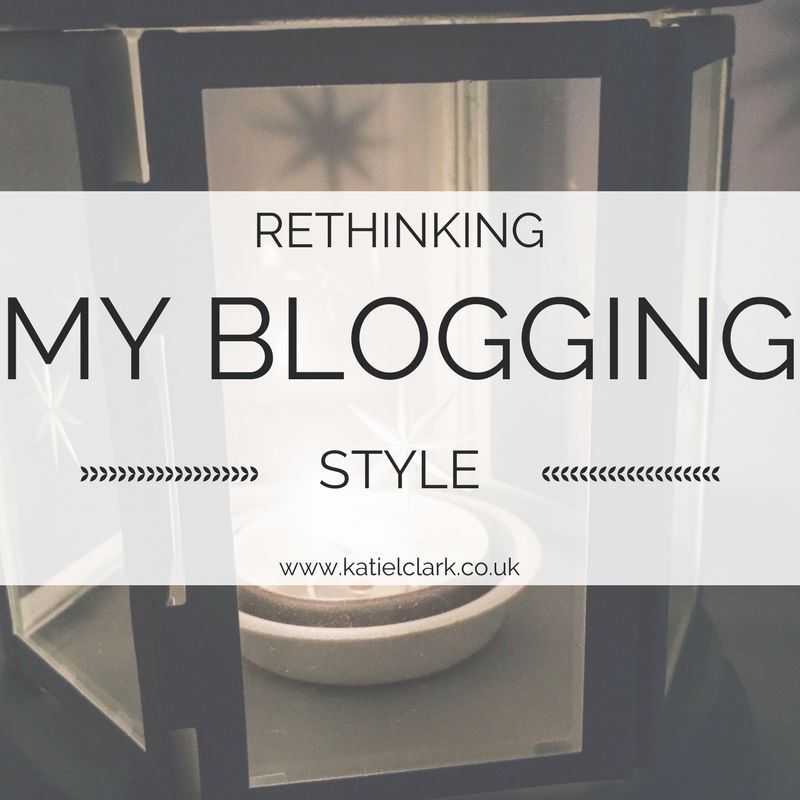 I didn’t need to wake up at 5am and prepare myself for a blogging day – yes. I was seriously doing this for a while. So now I’m changing my tactics. I’m putting the fun back into blogging again. The professional corporate blog is going out of the window. I’m not worried anymore about it being perfect. I’m taking my own pictures, I’m going to sit and just write. Write what I want to, share the information I want to. I started this blog and every blog before this to help. I wanted to be the big sister you never had. To share the tips you never had. I wanted to share the information I wished I’d received when I was younger. I wanted to share advice with friends my own age. And to those who I could receive advice from. I just wanted to share. I wasn’t interested in being perfect, I just wanted to share. Write posts and read my friend’s posts. I think part of it properly came from the stress of the masters, but that’s a post for next week I think! Because there’s so much to say. This is just an unnecessary update to say that my blogging style is changing. I’m going back to myself, I’ll share everything. I’ll take pictures. You can see how I actually live again…. I’m tired of censoring and making things perfect. It takes the fun out of blogging. So it’s back to the what’s in my bags, back to the realistic updates. I might be aiming for minimalism, and working towards being as zero-waste as I can… but I’m not perfect. I make mistakes. I have plenty of possessions, plenty of plastic still. This world needs real people. I’m tired of seeing perfect Instagram models, fine if they actually look that perfect… but not if they’ve taken an hour to photoshop that image to look tanned, slim, with the Kim K figure. I want real people. With real lives and real views. Here’s to making the step to become more real.